The Act now provides for the adoption of any child regardless of the marital status of his/her parents. So the child of married parents can now be place for adoption where both parents consent to the placement. Step-parents are now permitted to adopt their step-child without the requirement for the child’s other parent to adopt their own child which was the case to date. The status of the existing parent remains the same. Civil Partners and Qualified Co-Habiting couples can now adopt. The welfare of the child remains the first and paramount consideration. The Child and Family Agency must now offer supports to birth parents to increase the chance of “a positive family reunification”. The agency must be satisfied that every reasonable effort has been made to support the parents of the child before that child can be adopted by foster parents without the consent of both parents. A mother, father or a relative of the child. 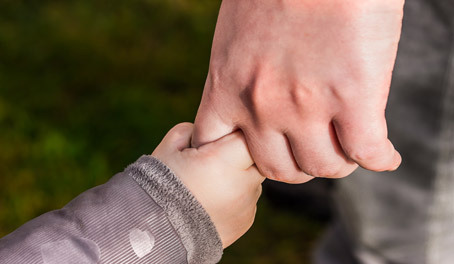 A person who has satisfied the Adoption Authority that in the particular circumstances, the adoption is desirable and in the best interests of the child. Civil Partners of each other while living together. A co-habiting couple who have been living as co-habitants for a continuous period of not less than three years. Adoptions can still be voluntary or involuntary. An involuntary adoption is made pursuant to Section 54 of the Adoption Act, 2010 as now amended. This is done by way of application to the High Court which must be satisfied that a parent has failed in his or her duty to a child for three years, that this failure constitutes an abandonment and that there is no reasonable that the parent will be able to care for that child in a manner that will not prejudicially affect his or her safety or welfare. The child must have had a home with the prospective adoptive parents for a continuous period of not less than eighteen months immediately preceding the application. The use of language such as failure of duty and abandonment remains unfortunate.